Sizzling bacon. Fluffy pancakes. Thick, creamy milk shakes. Whether immortalized by singer-songwriter Suzanne Vega in 1981, or as a meal-time staple for Seinfeld and his pals, New York City diners are where it’s at. I grew up going to diners in Michigan with my dad to have breakfast. That’s really where it started and kind of ended. Breakfast was always reliable and good enough to continue to go back. I never really appreciated the diner until I recently became obsessed with them living here in NYC. I walk a lot for my job. On average, at least four miles a day. Sometimes, six to eight. And in the midst of that, I get hungry and need to do some work on my computer. When I lived in Chicago, I would end up at over-priced restaurants and working into Happy Hour and spending way too much money. We spend a ridiculous amount of moolah on rent here for me to continue that pattern, so I started looking for alternatives. Forget Starbuck’s. If you are able to find an actual seat at one of them, consider yourself lucky. But good luck drowning out the noise or having room to set up your computer. There aren’t a lot of Panera’s in the city either. I felt my options were limited. Until I found the Holy Grail of lunchtime work space. 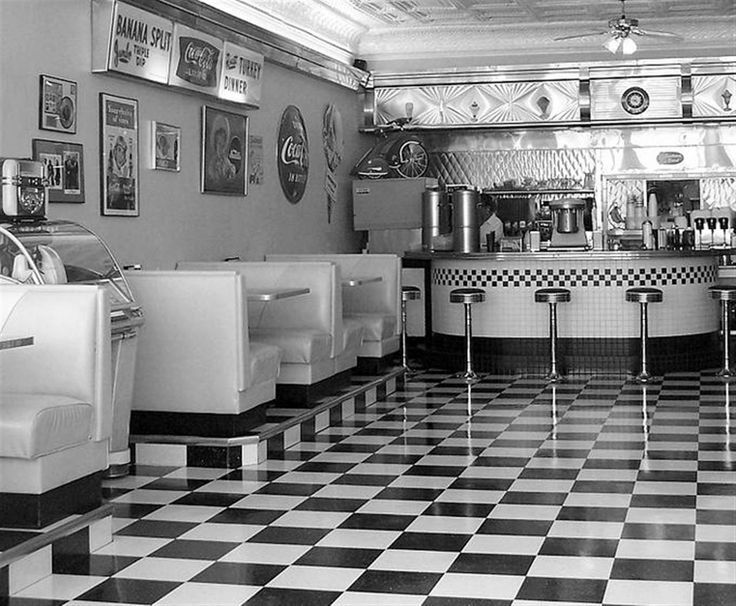 The diner. Viand, on the Upper East Side was my first. Apparently, it is Mayor Bloomberg’s favorite diner in the city and I just saw online that there are three locations (lucky me!) for me to hunker down in. The diner is a perfect spot to relax, have an inexpensive (in NYC prices) but good meal. First of all, the menus are huge. At least six pages huge. I love sitting down and turning the menu page by page and seeing all the choices. Eggs, any style. Three egg omelettes. Griddle Favorites. Pastries. Starters. Soups. Salads. Classic Sandwiches. Hot sandwiches. Panini’s & Wraps. Burgers. Greek Specialties. Seafood. Entrée’s. Side orders. Dessert. Smoothies. Children’s Menu. It can be overwhelming. Like going shopping is for me. Too many choices. But I discovered something very surprising early on. Diners have a specialty that I would never have thought they would. Salads. Yes, I thought the Meatloaf or the Patty Melt or the Russian Panini would be “safe” choices. You know- don’t go to a seafood restaurant and get the burger kind of thing. Order what you think they are best at making. So, salad didn’t seem like a likely choice. I envisioned iceberg lettuce with shredded carrots, too-cold tomatoes with Italian dressing and a side of rock-hard sesame bread sticks. That’s the salad I remember from my youth at any diner I had been to. But perhaps along with society’s demands for healthier fare, the diner has evolved along with us. Every diner I have been to so far (not sure how many to be honest, maybe eight or ten at this point) have had fabulous salads. The greens are actual greens. Spinach, Mixed greens, arugula. The chicken is juicy and tender. They are piled high with fresh vegetables and the array of dressings has expanded to even include Raspberry Vinaigrette. I am beyond impressed with the greasy spoon. The wait staff is reliable, the prices are right and the crowds are adorable. Little old couples that have lived in NYC forever and they come to the same spot every day to have their coffee and conversation. Young mothers pushing their strollers in from the cold to sit down and chat with their other sleep-deprived friends. Teenagers drinking coffee. That one always throws me. I didn’t drink coffee as a teen and I definitely didn’t hang out at diners doing so with my cool friends. Oh, the youth. I have seen a woman and her mother get into multiple loud arguments over health insurance. I had a woman sit next to me who talked into her phone about a disgusting medical procedure happening to her brother. I’ve overheard conversations about “production” and “editing” and always hope it’s someone famous I know. Not yet. I think I like the crowd mostly because it is not tourists. These are New Yorkers, going about their lives and taking a break to enjoy a great meal, to argue, to decompress, to have a milk shake, to have wine. Oh yeah, did I mention? They also have wine, beer and liquor!! Definitely not the diner I grew up with. There are a few lists that name the top diners in NYC. I have only been to two of them (Viand and Brooklyn Diner-which by the way is not a typical diner. It is expensive and the menu is more of a limited restaurant menu) but I am making it a top priority to visit them all. Tom’s diner is at the top of the list. I loved Seinfeld, so it’s a no-brainer. I highly recommend the diner experience when visiting NYC. You can have breakfast for lunch if you want. You can get a cup of coffee for $1.50. Or a whole avocado on a plate. The world is your oyster and it all starts at the diner.